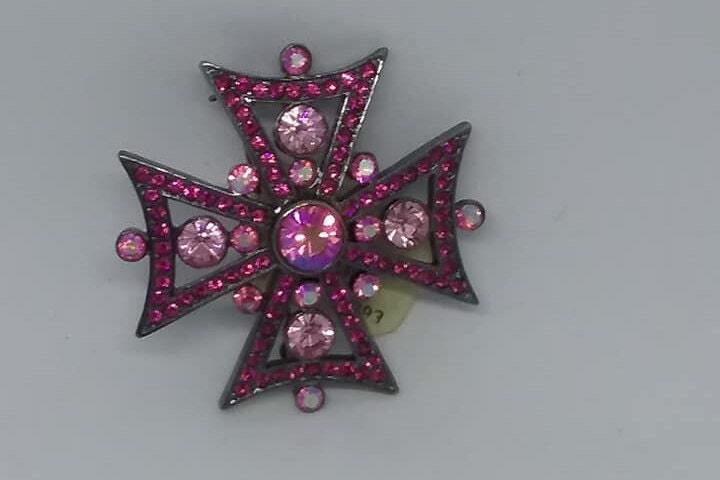 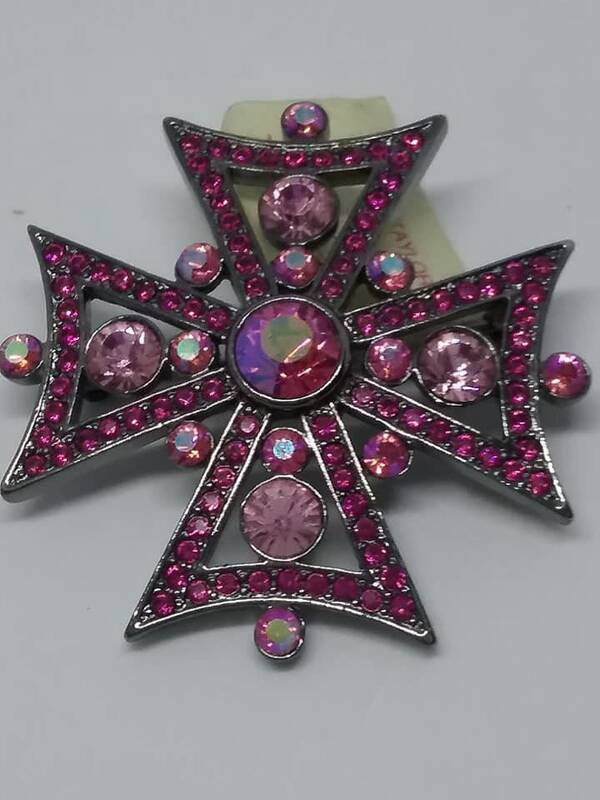 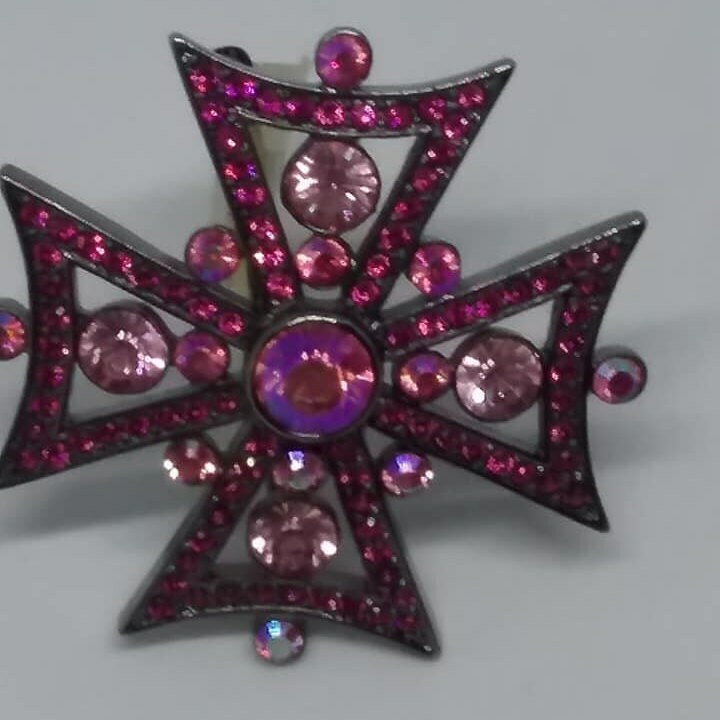 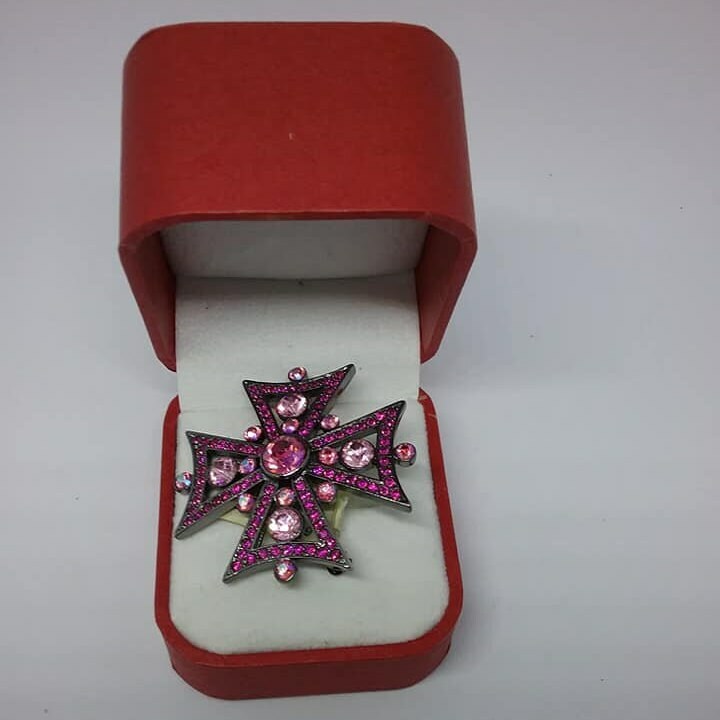 Vintage Maltese Cross brooch with sparkling pink rhinestones pave set. 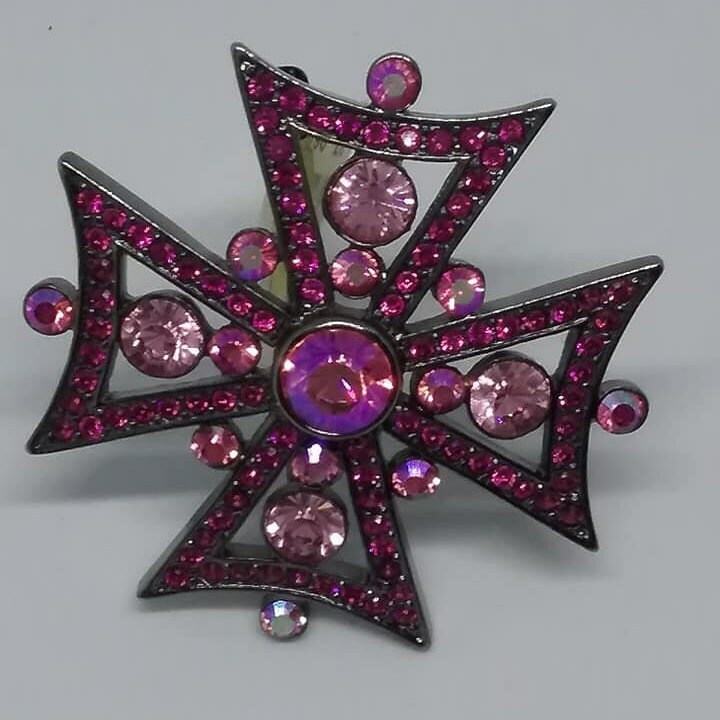 Beautiful shades of pink are set in a gun metal finish. 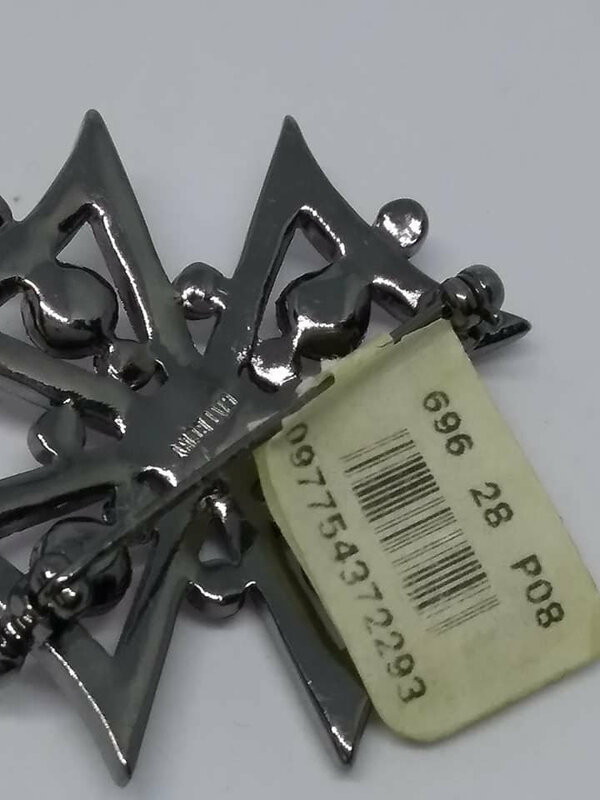 Measures about 1.75", it has a safety clasp in good working order. 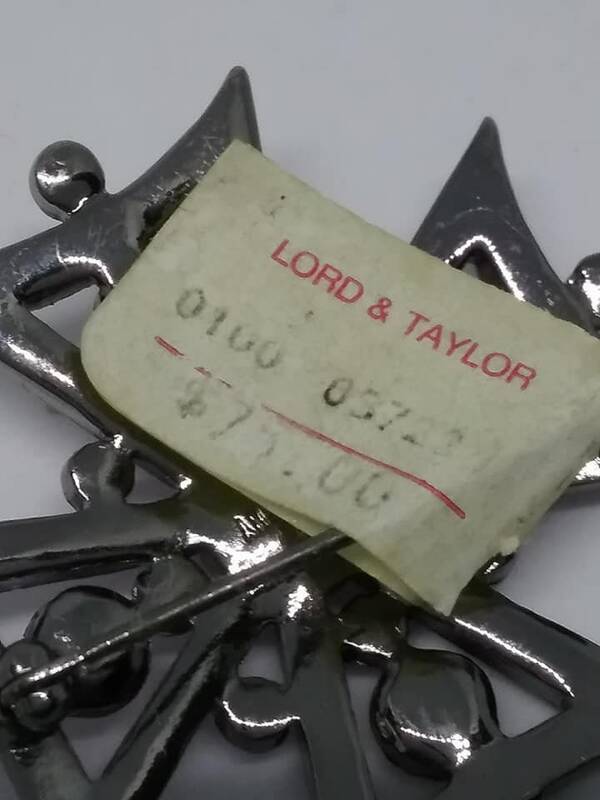 Excellent vintage condition, it still has tag from Lord & Taylor with original price $75. 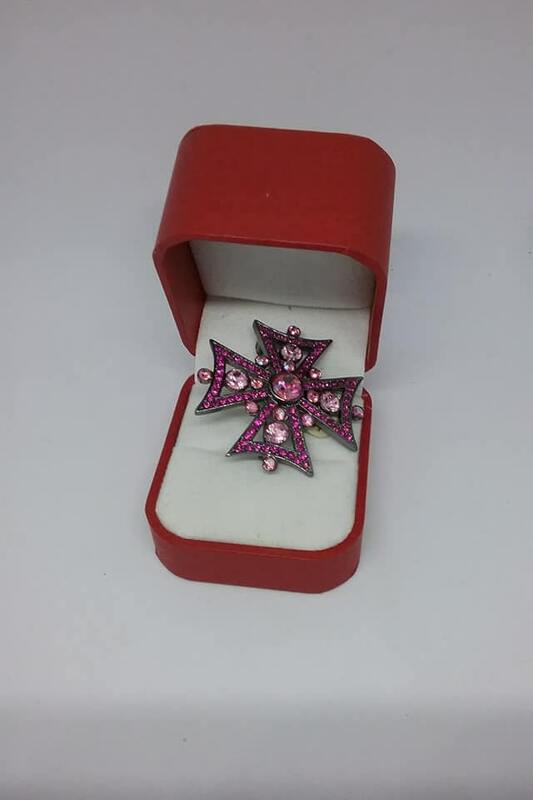 Signed Givenchy, any piece, but this one in particular, will have heads turning.